With the mercury soaring, the summer season can be unforgiving and sometimes fatal for our four-legged friends. And so, pet parents are increasingly becoming conscious and going out of their way to keep them cool and safe. According to experts, giving pets cold water to drink, spraying with cool water, lots of combing to remove excess hair and keeping them indoors help them during the summer season. Delhi-based veterinarian Gautam Unny told IANS that owners should keep in mind that during summer, their pets are prone to heat stroke, fleas, thermal stress, hair loss and diseases like tick fever. Take them for walks in the early or later part of the day, he suggests. Rashi Narang, Founder and Creative Director at Heads Up For Tails, advises not to shave off the pet’s hair. “Contrary to popular belief, it is not advisable to shave off the coat during the summer season as it acts as a protective layer and safeguards them against sunburn,” Narang told IANS. A lot of people take off for holidays during the summer season as schools are shut. But ensuring care for pets during such vacations is a challenge. 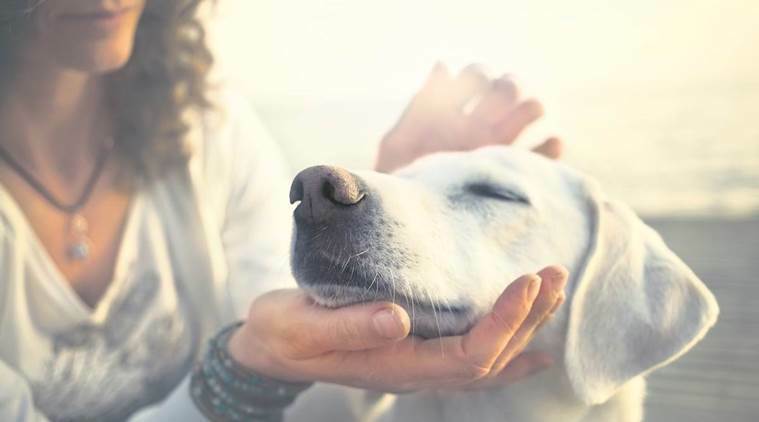 According to a survey conducted by LANA Paws, an online store for pet accessories, 60 per cent of the respondents said they would plan shorter holiday trips because they do not want to be away from their pet for too long. Close to 50 per cent said they have travelled outside the city with their pet, while over 35 per cent of the respondents said they would love to plan their travel with their four-legged buddy. The survey, with a sample size of over 500 pet parents, was conducted largely in four metro cities — Delhi-NCR, Mumbai, Bengaluru and Chennai. Unny says car journeys should be avoided during sunny days if a pet is taken along. “Or make sure the windows are open or the AC on at all times. Trips to hill stations need to be planned well,” he added. Pet expert Swati Tandon said people want to spend quality time with their pets. “They want to pamper them, travel with them, take them to spas, pool parties and even go to pet cafes with them. But they should avoid sudden temperature change as it can lead to them falling ill,” she told IANS. For those who prefer to keep their pooches and other pets indoors to beat the heat, binge watching in bed with the pet seems to be the new thing. Acording to a survey by Netflix, when it comes to watching TV, most Indians find pets to be the best binge partner. But many pet caring organisations say that people should take a moment to think about those homeless animals too who are the most affected during the months of scorching heat. “Many animals suffer through India’s long summer. You can help them weather the high temperatures by keeping an eye on all animals you see outdoors. Make sure that they have adequate water and shelter,” says Sachin Bangera, Associate Director, Celebrity and Public Relations of PETA India.